Hantesa Day Camp provides quality programming for campers entering grades 1-8. We provide transportation to Camp Hantesa from sites in Ames (Camp Canwita), Boone (McHose Park Shelter), Des Moines (Camp Fire Service Center), and Madrid (Edgewood Park). Each camper will be given two snacks and a hot lunch each day. Hantesa day campers also will receive swim lessons, utilizing the American Red Cross Learn to Swim program. Hantesa day campers hard at play! Campers enjoying a beautiful summer day with a counselor. Campers and counselors finishing lunch time with songs. Advanced swimmers receiving swim instruction to refine their strokes. Hello campers, parents, staff, alumni, and friends. It’s been a while, did you miss us? We certainly missed you, so we’re happy to get this blog fired up again. We will be starting a blog series called “Behind The Tree.” This will give you all insight on a frequently asked question, and that question is, “what do you do when camp ends?” Of course the best answer is that camp never ends. We have camp programs all 12 months of the year including Camp Fire Day Camp next Wednesday, November 22. We also will have day camps on December 21, 22, 26, 27, 28, 29, and January 2. Unfortunately, we will not be hosting our traditional New Year’s Eve overnight this year, due to NYE being on a Sunday, but we will have an overnight on December 28-29. For more info or to sign up visit us at http://www.campfireiowa.org or give us a call at 515-432-1417. Okay, so that’s the schedule update, but we promised you a little bit of insight on how we spend our vast work hours from September to June. One of the most important things we do is professional development. It’s always important to keep our ideas and methods sharp and fresh. One of the ways we do this is by attending conferences, participating in webinars, meeting with other camp professionals, and reading any relevant info we can get our hands on. Last week, Camp Fire hosted the annual National Leadership Conference that was attended by the Camp Fire Day Camp staff in Des Moines. We are all currently attending the American Camp Association Great Rivers Fall Conference. These are wonderful opportunities to learn about the latest trends in the industry from our peers and professionals outside of the industry. The motivation for this particular post and this new series comes from an address we heard from Dr. Deborah Gilboa also known as Dr. G, http://www.AskDoctorG.com. I have personally heard Dr. G at three different conferences since last February. She has amazing thoughts and philosophies on child development. We’re looking forward to learning from, not only Dr. G, but from others as well. We also are proud to share all of the fantastic things we do at Hantesa. Again, we are happy to be back blogging, sharing our story. In case you didn’t know, we will start celebrating 100 years of Hantesa this upcoming summer with several centennial events. Look here, our Camp Fire Alumni Facebook page, and the Camp Hantesa Facebook page for event dates and details. There will be several changes to camp policies, procedures, and programs that we will keep you updated on. Thanks for the time, we have workshops to attend! Have a great day. Wohelo! The official start of fall is just around the corner and camp is unusually quiet without the laughter and joy of our campers. It was a great summer here at Hantesa and we hope all of our campers and counselors have enjoyed it as much as we, the full-time staff, have! 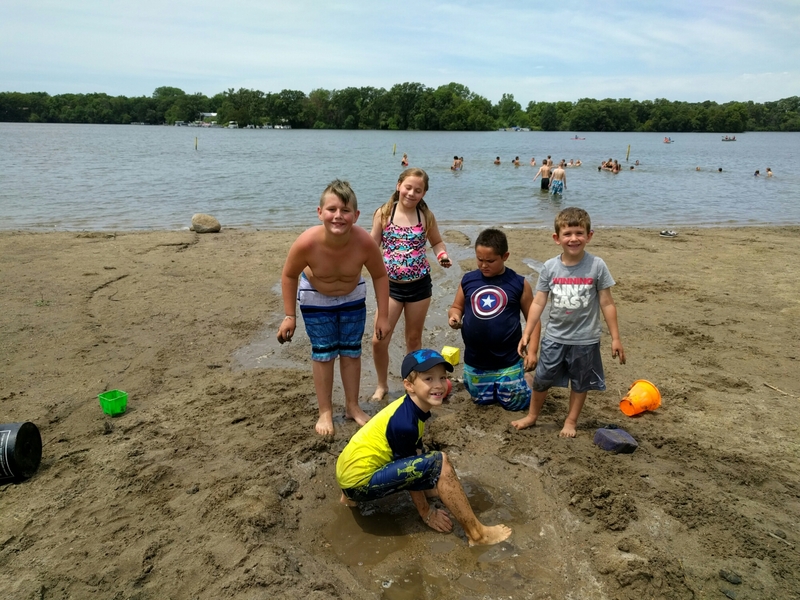 Right now, most of our campers are reconnecting with school friends while most of our counselors have either resumed classes themselves or are still traveling throughout the USA. But even with all of the excitement of a new school year and traveling, we know some of you are already missing camp so we’ve come up with a few tips to help you cope during the time between summers! Return for fall programs: Although summer is our busiest time of the year, we are open all year long! Coming up this fall we have Camp Fire Day Camps during those miscellaneous days off from school, Afternoon at the Ranch, Family Camp, Mom/Youth Overnights, and even a haunted trail that is appropriate for the whole family! We have also started a brand new Plein Air Club for youth AND adults to come out and enjoy Hantesa’s scenery while painting or drawing! So, even though the weather may be a bit cooler, there are still plenty of reasons to visit! Follow the links provided to learn more or to register! Revisit some of your favorite moments: We have photos from every week of day camp and resident camp on our Facebook page as well as the Hantesa Instagram. If you are missing camp, these are a great way to reminisce! Make sure and follow us on Facebook, Instagram, and Twitter so you can keep in touch with us about upcoming events/happenings at camp! You can find the links for those accounts at the top of this page, just click on the icons in the top right corner! Keep an eye out for winter and spring events: Remember, whenever school is out, camp is open! Registration is not yet available for our winter and spring programs, but they are coming! We have winter resident camp, a new years eve party, and much more on the way so make sure and keep your calendars clear! Start a countdown: If you really can’t wait until next summer, then start counting down the days! Make sure and mark your calendar and coordinate with camp friends about when you want to come to camp! Also make sure and recruit some of your new friends from school for a week of fun and excitement at Camp Hantesa in 2017! It’s been nearly two years since our last blog post. In that time we have reformatted this site, twice. We vow to post much more from this point forward. Hopefully you have noticed our increased social media presence on our Facebook page, facebook.com/camphantesa, our Twitter account, @camphantesa and especially our Instagram account @camphantesa. We will be adding new features to this site as well including camper posts and a new podcast. We will add extra water stations around camp. Additionally we have literally hundreds of water bottles we will give to campers that don’t have them. We also have sports drinks on hand for anyone suffering from heat cramps. We will monitor the temperatures in cabins without air conditioning to ensure those cabins remain habitable. If we deem the cabins too hot we will temporarily move those campers and counselors to air conditioned cabins. We will be adding additional pool time for resident campers. We have decided to forgo resident camp pony rides for the safety of the horses and the campers. We will refund the families who have paid for the rides. We will continue Herman’s Ranch including the horse show on Saturday morning at 9AM. Hello everyone, long time no talk. We are here in the first week of November and the change in weather indicates a change in what camp looks like and feels like. As the weather chills we are starting to see the end of our very busy fall wedding, retreats, and conference season. Of course we do these things year around but it is not unusual to have multiple groups here at the same time in the fall. The good news is that as we have fewer retreats we are really getting into our Hantesa Day Camps a.k.a. School Day Off. If you don’t know when the Des Moines, Ames, and Boone school districts have a day off of school we are open for camp. Registration is open for our fall and winter day camps on the following days. We also have overnight and resident camp options this winter. We have a resident winter break camp on December 29-January 1, a New Years Eve overnight party on December 31-January 1. And an Outrageous Overnight ski trip on February 7-8. The Outrageous program is for campers grades 5 and up. You may register for those programs or get more details at http://www.campfireiowa.org or by calling the Camp Fire Iowa Service Center at 515-274-1501 or Camp Hantesa at 515-432-1417. Our next day camp is tomorrow, November 7th, which brings me for the reason for this blog post. Tomorrow is also the last day for Jenna Johnson, our Assistant Director. The fact that you are reading this message right now is a testament to what she has brought to this camp and the council. When she started in late April of 2013 we had not had a facebook post or blog entry in 4 months, we didn’t even know how to access the blog. Since she’s started we have more than doubled the amount of likes on our page going from about 500, to over 1300 now. The last post that we had on our facebook page before she took it over had a reach of 157 people now our facebook posts reach as many as 2000 people. These numbers are important because it shows the increase of awareness of our camp. In 2014 having a substantial social media footprint is vital to our success. The social media rebirth is a very important thing that Jenna is leaving with us but it is in no way shape or form the only way she impacted Camp Hantesa. One of Jenna’s role as the assistant director is to oversee the programming. If you had a kid come home from our programs and gush about how much fun they had then you can thank Jenna and our program staff. She is a creative but practical mind that has the ability to put together amazing programs that are great for our fun minded campers and our budget minded director. Jenna works extremely hard in assuring that when we have people here at camp for programming; from the a fore mentioned Hantesa Day Camps, to our summer programming, to our family camp programs, that they enjoy themselves and that they have unique experiences each and every time that they are here. I will miss Jenna professionally a great deal. In addition to the things that I have already mentioned she is organized, professional. prompt, and patient. Above all of these things though is that she is exceedingly kind. Jenna is a genuinely fantastic person. There isn’t a single person who have dealt with her has a bad thing to say about her. She is put into the position of frequently having to communicate with campers, parents, staff, and vendors and these people aren’t always happy with us, but it is impossible to deal with Jenna and not have an appreciation for how nice she is. I would be remiss if I did not mention her husband Kyle as well. Kyle only worked here during the summer of 2013 and he worked exceedingly hard for those 3 months. Kyle’s contribution did not end when he stopped working for us. Kyle and their son Daxton, born February 2014, were frequently around and Kyle never hesitated helping out without being asked and it was greatly appreciated. Many of the beautiful recent photos taken at and around camp were taken by Jenna and Kyle. Jenna and Kyle are my friends; I will miss them, my family will miss them, camp will miss them. Good luck in South Carolina my friends and thanks for everything. This is good night and not good bye. The first half of the summer has gone by so fast but we have already learned a lot, made new friends, and had tons of fun! Check out what we have been up to. Hello, we hope you are all doing wonderfully on this soggy Monday. Now seems like a great time to let you all know what goes into our programming decisions when we have weather concerns. First of all, our decisions are made in the best interests of our campers and counselors. The key to handling weather successfully is to be cautious but not overly cautious to the point where we are not running a quality program. As parents we want to know that the people looking after our children will safeguard them as if they are our own, which we do. We also want to deliver a quality program because we want the campers to have a fulfilling, satisfying experience. As of this moment Boone is in a Tornado Watch. We are still running a full program because outside of a few raindrops the weather, while gray, is calm. Knowing the difference between a watch and a warning whether it is flood, thunderstorm, or tornado is a key component to driving our decisions. A watch can be issued and you can have a wonderfully idyllic day. Technology has helped us a great deal when it comes to how to deal with the weather. We can see the radar to tell when a storm is approaching and if it will dissipate or strengthen. We also have the ability to use lightning detectors and trackers to see just how close the lightning is. In times like today when there is poor weather all around us but not at camp we use these things to monitor our surroundings including battery powered radios. We keep in constant communication with our day camp coordinator, resident camp coordinator, bard director, and pool director to make sure that they have the same current information that we have. We do have a plan as to how to deal with severe weather if it hits and we have trained our staff on how to act if action is needed quickly. When there is lightning within 10 miles everyone has to be inside, preferably Clayton Lodge, but if campers are already inside of a building we will keep them there until the lightning has gone. Campers are not allowed on horses or in the pool until the lightning has passed by at least 10 miles. Again we have the technology to see where the strikes are, if that technology fails they have to wait 30 minutes after the last strike before entering the pool or getting on a horse. In case of Tornadoes we have two shelters at our main camp, our preferred shelter is once again Clayton Lodge where we have a concrete basement where everyone can go. If the storms happen too quickly we have a basement under Miles Crafts Building for campers and counselors on Happy Hill and Miss Suz has graciously allowed our equestrian riders to use the basement of her house if we have people at the barn.